The Federal Republic of Germany is the most influential countries of Europe. 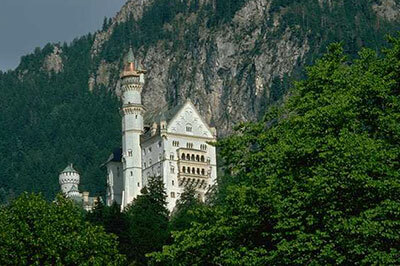 With many magnificent castles it has wealth of art and culture. German is the widely spoken language in German, but outsiders can find many English speaking locals especially in the common tourist destinations. Locals greet each other by handshaking and saying Guten Tag. To say goodbye, people use Auf Wiedersehen. Guests are expected to bring uncovered and odd number of flowers, especially roses, when visiting someone’s home. The guests are welcomed with either food or refreshments. At the table, hosts say ‘Guten Appetit’ to which the guests should reply with ‘Ebenfalls’. Locals dress informally but certain occasions like opera, theatre, certain restaurants and social functions call for formal wear. The best way to get around is to buy the Welcome cards or the city passes which allows the customer to access unlimited bus facilities in many cities of Germany. It also gives special offers on certain tourist attractions. For flexibility one can rent-a-car or go for chauffer driven cars. Along with the rent, VAT of 16% is payable. Car insurance should be available before hand in case of any accident. The speed limit within the cities is mostly 50kph and 100kph on the highways. Eurostar provides railway service to and from Belgium, France and the UK. Booking can be made by telephone. The Inter-Rail offers unlimited second class train travel within 29 European countries. The Eurailpass offers unlimited first class train travel within 17 European countries. EuroCity and InterCity trains have a restaurant on board, providing food and drinks. InterCity Express target the business class and provides services such as fully equipped office, conference compartments, etc.